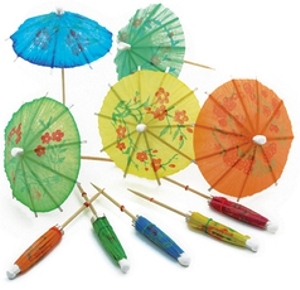 Add a splash of playful color to appetizers with our beautifully crafted umbrella picks. Each pick has a wonderful floral detail. The pack comes in a variety of colors such as blue, green, red, orange, and yellow. Bamboo Dip Tong 6 1/2"